This SUN-E miniature ornament decor set can be applied in any miniature garden, dollhouse, plant decoration. SUN-E® New collections!Ideal for adding a dash of refreshingly modern design to your home,Great Gift - this ceramic pot can serve a variety of purposes. 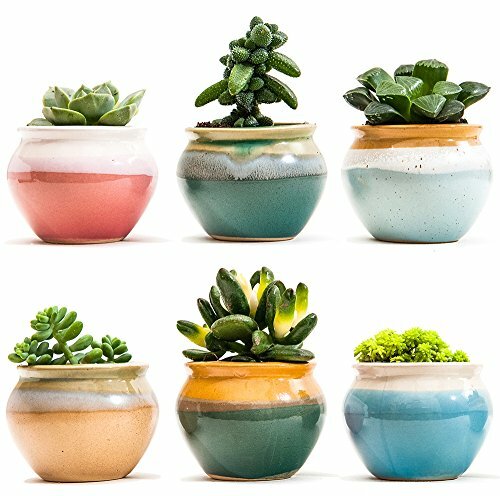 Perfect gift for family and friends who love succulent plants with a green thumb or keep it in your own home for a touch of clean, modern style in your living space. Approximate Size: 2.75 x 2.75 x 2.36 inch (L x W x H).Please refer to the picture. Decorations and plants are not included.Kiln products,Color grain may be vary! If you have any questions about this product by SUN-E, contact us by completing and submitting the form below. If you are looking for a specif part number, please include it with your message.